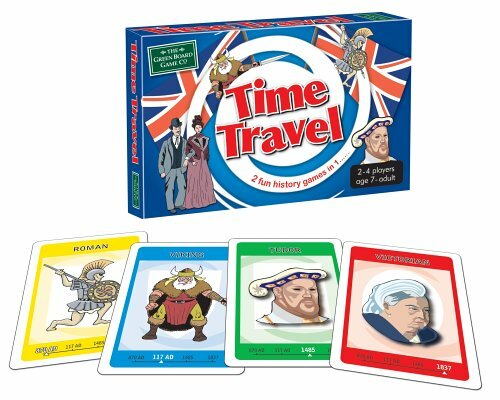 Two games in one - Time Travel and Time Travel Rummy, enabling players to experience history first hand with this frenzied, fast paced game. All the cards have images from the Roman, Viking, Tudor or Victorian periods of history. No questions, no complicated rules, just great fun. Suitable for 7 years of age upwards.